The “55” models are built for to handle solvent and flammable liquids. One of the major uses is recovering solvents from absorbent pads. A stand alone unit is available that includes an explosion proof compressor, stainless steel collection tank, and explosion proof pump to remove solvents from the collection tank. G-forces of 1200 effectively remove the liquids to a dry touch. 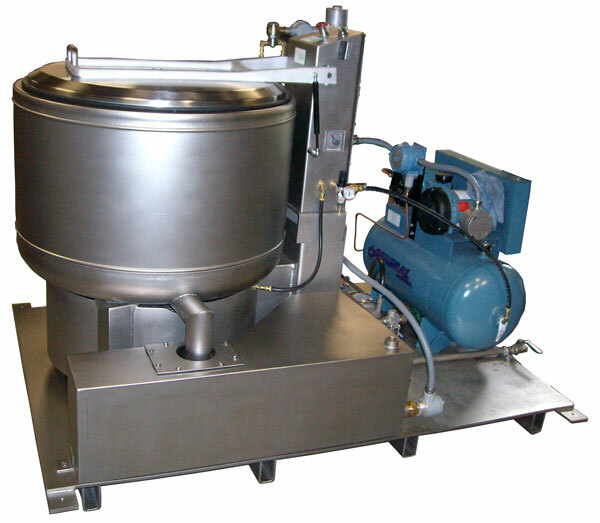 Centrifuged absorbents will meet the requirements of the Paint Filter Test.